Okay so who's ready for a refresher? I think it's so important to revisit your goals from the beginning of the year to make sure you're on track. One of my goals this year was to create an effective social media plan for my brand so that I could connect and engage with my ideal audience. I'm sure many of you share that same goal. If you have a business or blog then it's important to create a social media plan for your brand. Part of creating a successful plan means knowing your audience and how to keep them coming back for more. It's also important to know how to turn your brand into an experience. The way to do this is to really give your brand a life of it's own. Part of your social media plan should be dedicated to creating stunning visual content especially on platforms like Instagram. The fun thing about Instagram is that you can style your photos, microblog, and really just create a really irresistible account that people love to share. I even have some tips on how to brand your business on platforms like Snapchat. 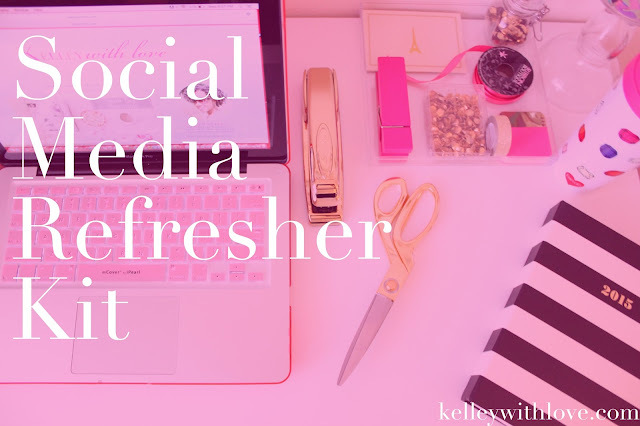 I really want to help you finish the year strong by having a brand that really stands out on social media. I hope you'll check out this social media refresher kit I created just for you. I hope you enjoyed the social media refresher kit. If so, I'm working on something special for my VIPs and you're invited to join in on the fun by signing up here.